Due to high demand for several food items, especially easy-to-open food provided for our unhoused community, Good Sam invites individuals or groups to participate financially or provide resources for high-demand food items. Monthly financial contribution designated for purchase of food. As a member of North Texas Food Bank, Good Sam may procur needed food for a small handling fee of $.14 to $.25. 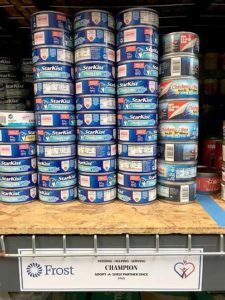 Monthly purchase/collection and delivery of food for adopted shelf. 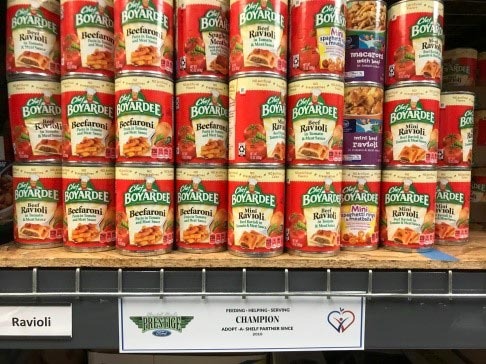 Good Sam’s Adopt-a-Shelf partners are recognized in the pantry with special signage. 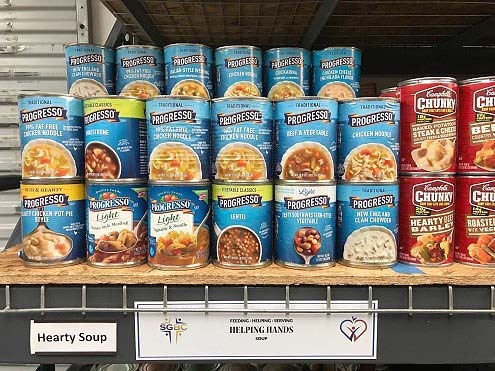 We are grateful for our partners participating in our Adopt-a-Shelf program. If you would like to participate or need more information, please contact Good Sam at info@goodsamofgarland.org.